Struggling to find your one-stop-shop builders in Southampton? Look no further; Acorn Building Contracts offer a highly reputable and professional service, with qualified and certified tradesmen who are knowledgeable in a huge range of building projects. Our aim is to make your house a home, so choose us for your Southampton builders now. By any means, extending your useable space is not something you can do half-heartedly. The last thing you need is a badly constructed extension or a half-finished loft extension. Our builders Southampton will carry out a your expansion to your vision, guiding and advising you through the planning process, and consulting you about details- from brick colour to ceiling finishes. 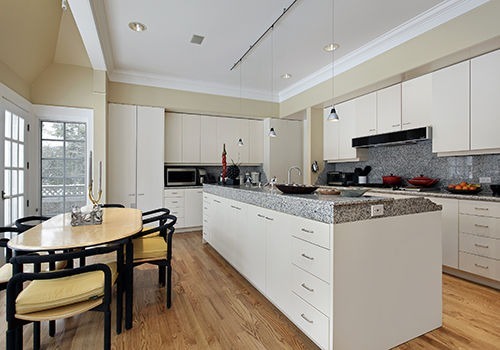 Many would argue that your kitchen is the heart of your home. By choosing Acorn Building Contracts, you are contracting builders in Southampton who don’t just work with you to design your kitchen. We offer a start to finish service; from drawings, sourcing, building and fitting, we will tailor our Southampton builders’ service to your needs. Tired of patchy walls and paint splatters all over the furniture? All the workmen at Acorn Building Contracts will make light work out of your painting and decorating so you’ll be able to enjoy the new aesthetics of your room in no time! Our builders in Southampton possess the relevant training and health and safety qualifications to carry out a great array of groundworks. From foundations to driveways, click on the groundworks page to see more about our builders Southampton service. Grouting can be a fiddly and time consuming job. Our Southampton builders are experienced tilers and will make quick work out of your tiling to ensure that you can begin to use the room as quickly as possible. Avoid danger by using our builders in Southampton to carry out any roofing works. We provide an honest roofing service and it is ultimately your decision as to whether we replace or mend your roof. We will also be able to provide you with advice on how to look after your roof so you won’t be spending money unnecessarily in the future. We are proud of both our domestic and commercial projects. And with so many skills covered among our team, we are pleased to say that we can provide the best comprehensive builders Southampton has to offer. With so many builders in Southampton, how do you know you’re making the right choice? 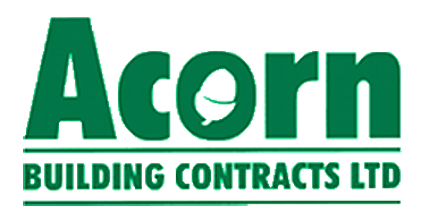 Acorn Building Contracts is a member of the National Confederation of Builders and Check a Trade, so you can find out for yourself just how reputable our Southampton builders’ service is. To further ensure your confidence in our builders Southampton, we have just been authorised as an approved trader with Southampton Country Council’s Buy with Confidence scheme. Click on our gallery to see the evidence behind our list of certifications. So much of our trade comes from word of mouth, so you know that we don’t just come recommended on paper. Our customers are consistently delighted with the level of quality, professionalism and efficiency that our builders in Southampton deliver, so don’t just take our word for it – use Acorn Building Contracts to make your house a home today. Don’t waste time with other builders in Southampton. Guarantee yourself stress free building improvements and contact us now to arrange a free quotation.